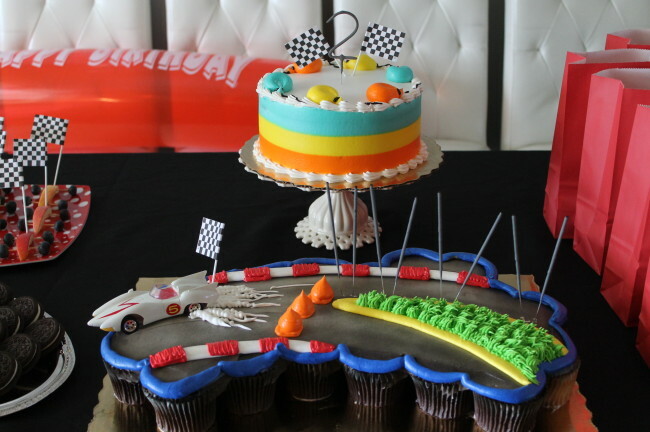 We had a pull apart cupcakes cake that we decorated as a racing car in motion and a small cake to hold the number 2 sparkle that was later light up for the birthday boy. 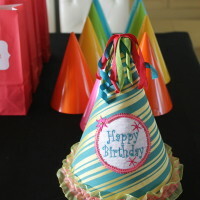 Hosting a Boy theme party requires a bit more brainstorming than a girl theme party. 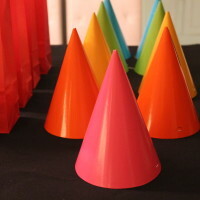 Party supplies can be limited for those parents that like to go all out with the theme. 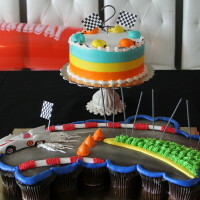 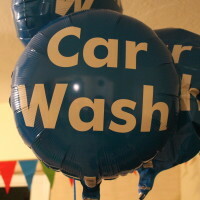 Check out this creative Car Theme Party for a little boy turning 2! 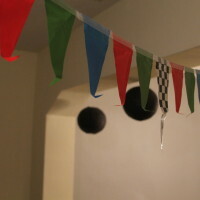 Grand Prix Car Racing Black and White checkered flags and a Stop Light Color Theme of Red, Yellow and Green. 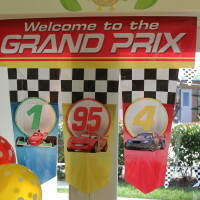 A Grand Prix Welcome Sign added a nice touch to the crafts area. 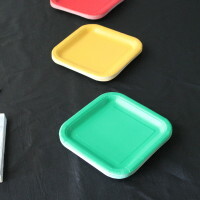 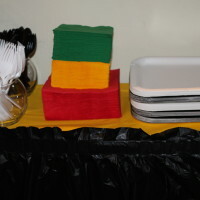 Desserts plates where aligned to resemble a Traffic Light – Red, Yellow, Green. 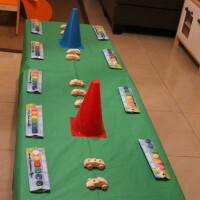 To keep the munchkins entertained, they each got a wooden race car and their set of paints to color their own car. 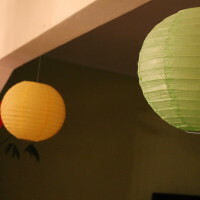 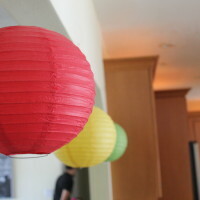 Decorations around the room followed the Traffic Light idea – Red, Yellow and Green. 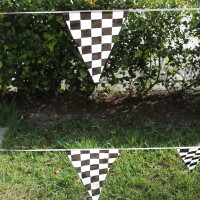 Outdoors where they got to race their little wooden cars after painting them, we decorated with Checkered flags and banners. 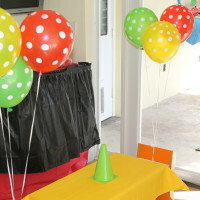 The table with drinks was decorated with Car Wash balloons and all cups and napkins followed the Traffic Light color theme.